New Year starts with new pictures from our happy customer! I loved the idea of putting scratchers on the tossing garter! 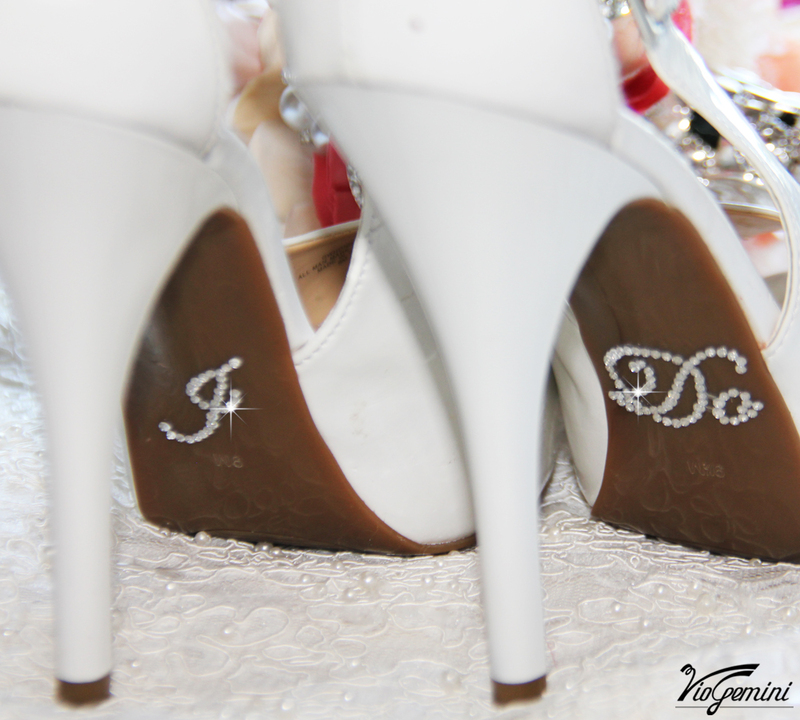 Cute and elegant I DO crystal shoe stickers are a great addition to your bridal shoes. Show them off in your Getting Ready photos during the wedding, and let them peek out from your hem if you will be kneeling at an altar during the ceremony. They affix easily to the bottom of your bridal shoes and are so pretty! Our I Do shoe stickers are great fun for your wedding day and will be a hit with your groom! Get your I DO sticker for your wedding! 3. Leave us a note at checkout with your Facebook name. 4. Use coupon code IDOFACEBOOK at checkout. Last Friday, on November 29th we officially opened the window displays of our new store in Fremont, Niles district. We did that during the Christmas Tree Lighting Parade organized by the City of Fremont and Niles Merchants Association. The tree lighting and parade have been held annually for more than a decade and have become holiday traditions in Niles district. It happens that our boutique is located right off Niles Boulevard, so all the participants and a lot of visitors walked by the store. Great publicity for our new Bridal Boutique! So, in our boutique a future bride can order a unique and exclusive wedding gown designed and made especially for her, as well as all the accessories she or her bridesmaids may need. We also do bridal gown alterations and re-designing wedding gowns. 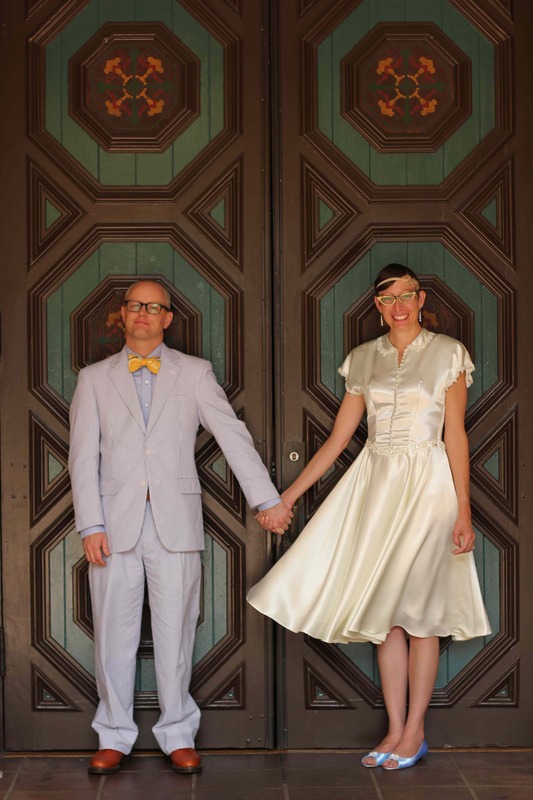 No more boring white and ivory weddings! We offer a wide range of colors, any accessory can be matched to a wedding color theme and pallet. Consultations and alterations by appointment only, please call. Mila came to my studio with her wedding dress that needed to be shortened. 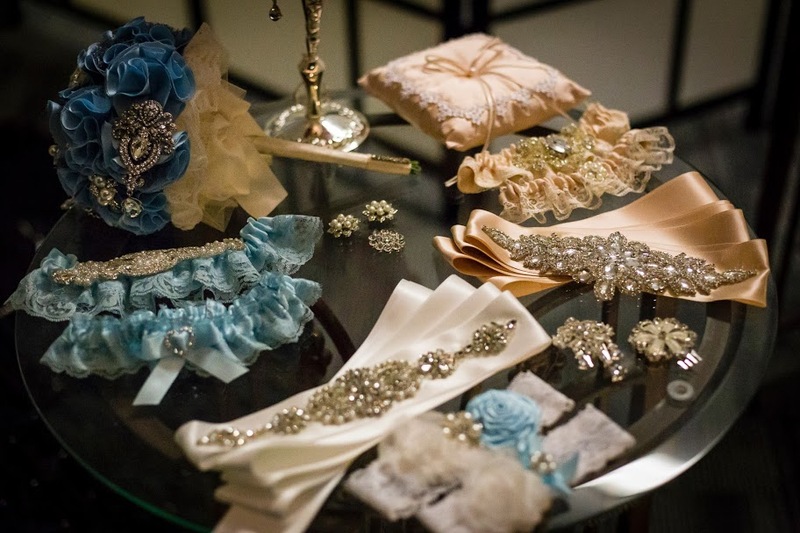 She fell in love with the bridal accessories that she saw on a shelf. I am very happy to get these beautiful pictures from her wedding! Remember that wedding gown from 1920’s? Here are the pictures from Katie and Jeremy’s wedding! I just wanted to let you know that our wedding was absolutely beautiful, and I really, really loved wearing the dress! Thanks again for all of your hard work on it! I thought you might like to see these photos. Thanks, and I hope you are doing well. The white dress is actually a corset with a skirt, the black one is a one-piece dress. Bottoms of both gowns are smocked by hand and a rhinestone is sewn in the middle of each pleat. I don’t remember now exactly, but I think it I used about 7 yards of fabric just for the pleated part. Do you like? 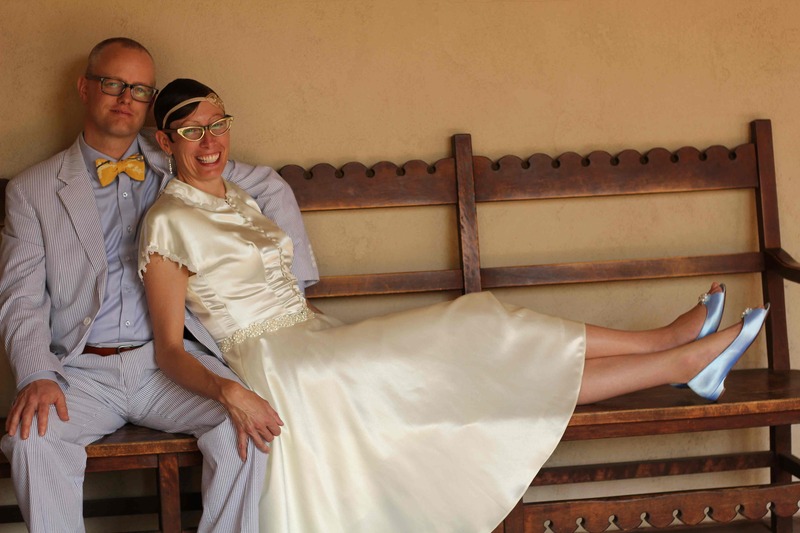 We received one more picture from our Happy Bride! This crystal and pearl sash adds a lot of sparkle to this gorgeous ivory wedding gown. Here is a close-up picture of this wedding sash. The embellishment is embroidered with ivory pearls, silver beads and large crystals on satin ribbon of the color of your choice. Would you wear this crystal sash with your wedding gown?